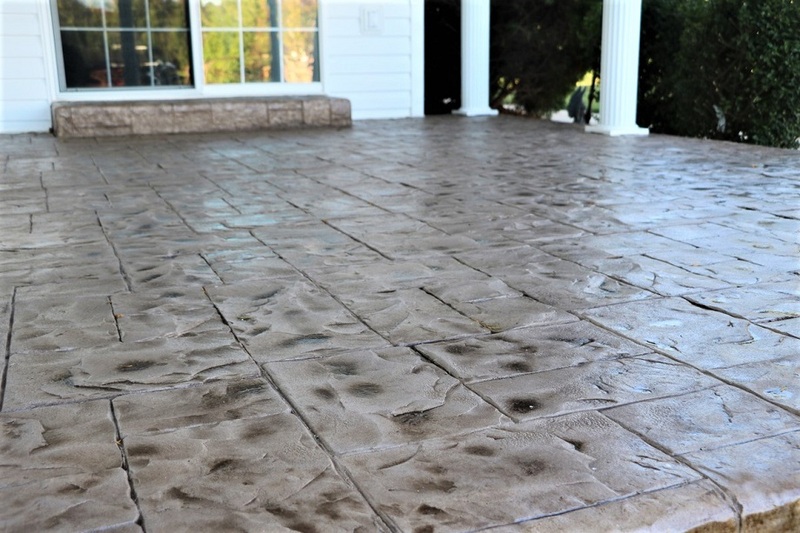 Many people find stamped concrete appealing and for many good reasons. 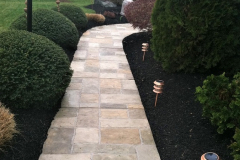 It provides home and business owners an affordable alternative to high-end paving materials, like natural stone, bricks, and tile, without compromising aesthetics and durability. 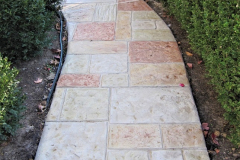 It can work on concrete pool decks, patios, driveways, walkways, entryways, sidewalks, and more. It is a lot easier to clean and maintain as compared to the material it is being substituted for. 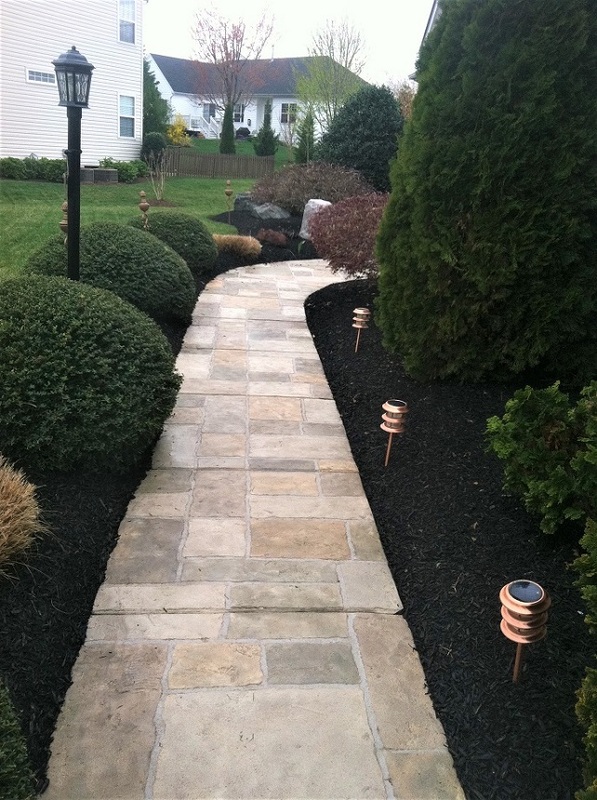 Properly installed and sealed, a stamped surface can last for decades. Stamping a slab or overlay is a practical method of enhancing or restoring any concrete driveway, patio, pool deck, etc. It creates very ornate surfaces without using a single expensive material to make it happen. 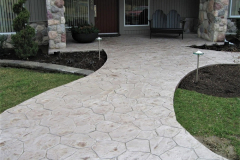 The broad range of designs available gives property owners the enjoyable task of choosing the exact pattern they want in a color that is most suitable for the rest of the property. All these goodies at a fraction of the cost of other paving materials. 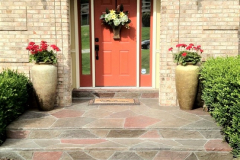 Step 1: If stamping on an existing slab, it must first be assessed, making sure that it is eligible for an overlay. 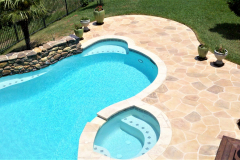 If there are minor damages, repairs must first be done. 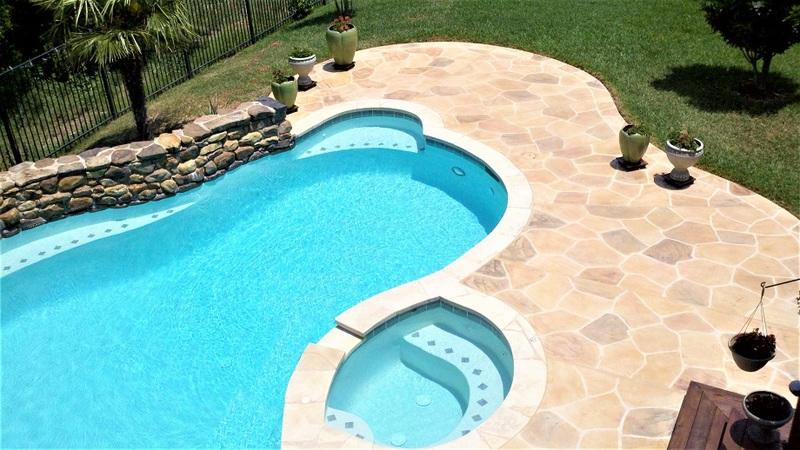 If the damage is deep and extensive, it might be more appropriate to change the whole slab. Step 2: The surface is cleaned well to make the overlay adhere. 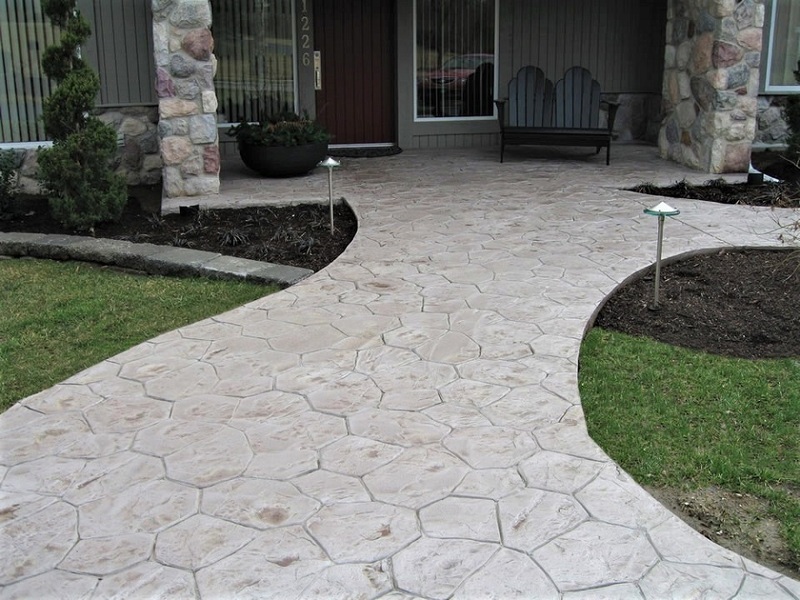 If there is an existing coating or overlay, it must be first sanded off so that the new overlay will adhere and last longer. Step 3: The overlay is poured on top, spread and leveled, and then stamped with stamp mats in the customer’s chosen pattern. 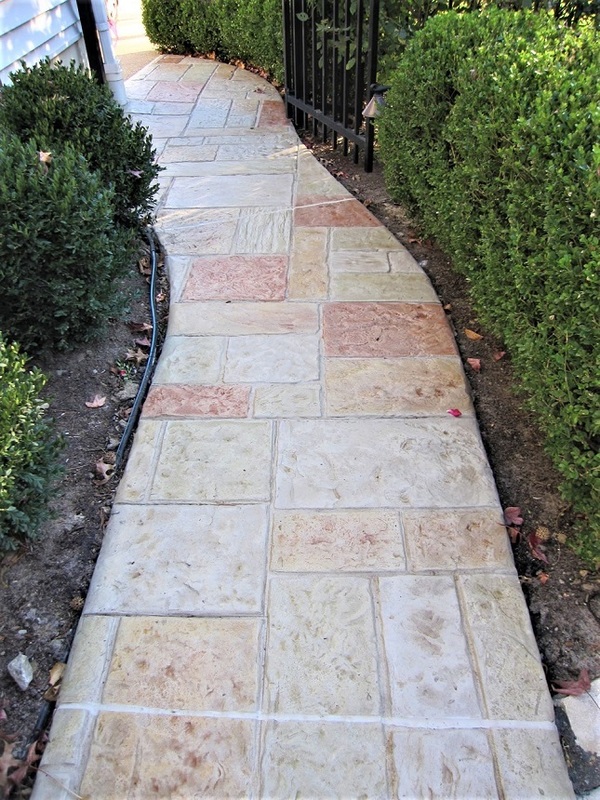 For newly poured slabs, the mats are laid on the concrete before it dries or hardens. 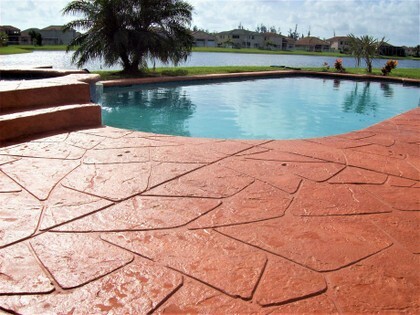 Step 4: If you want a custom look, the stamped surface can be stained, scored, or engraved to customer specifications. Step 5: A layer of concrete sealer is applied as a top layer. This adds a protective layer, a bit of shine, and it helps enhance colors, if the surface is stained, that is. 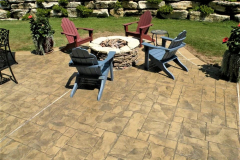 Request a FREE stamped concrete consultation today! Call (317) 854-4529 now. 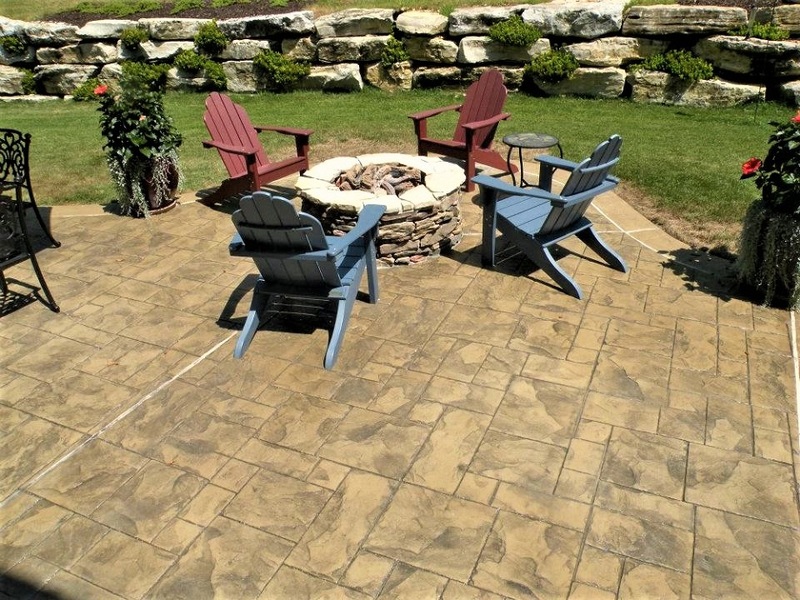 Indiana Concrete Artisans provide efficient and long lasting stamped concrete solutions, combining form and function that will benefit property owners the most. We make sure that we give customers a brief scope of what the work entails so as to set expectations. 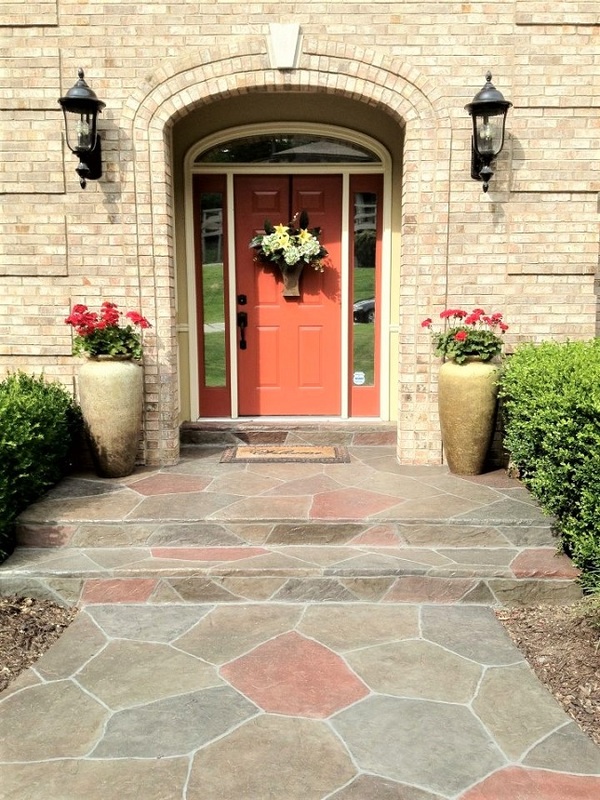 From choosing a pattern or color, our team will be there to guide them, addressing any concern that may arise. Call or email us and we’ll schedule a free consultation for you and one of our highly trained staff.